Backed by our enriched industry experience, we have been able to come up with a huge gamut of Acrylic Folders. These folders are made using the quality assured raw material and widely used in different sectors. 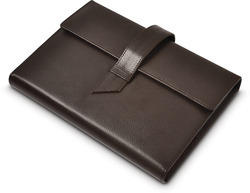 The folders offered by us are made available in varied sizes and specifications meeting diverse needs of the clients. Quality is the feature of our industry and to maintain unique quality standards, we are immersed in offering Acrylic Folder. Since our commencement, we are immersed in presenting an elite array of A3 Acrylic Display Folder. To meet the variegated requirements of experts in our team, we are the best in delivering the best array of Acrylic Folder Stand. They are highly appreciated for its finish and design. We offer a wide array of Acrylic folders that are used as ophthalmic surgical instruments in hospitals, clinics and nursing homes. It comes with different variations. 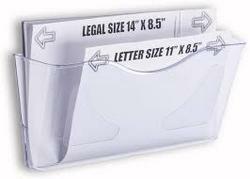 With the help of our expert team members, we have been able to provide Acrylic Folder.